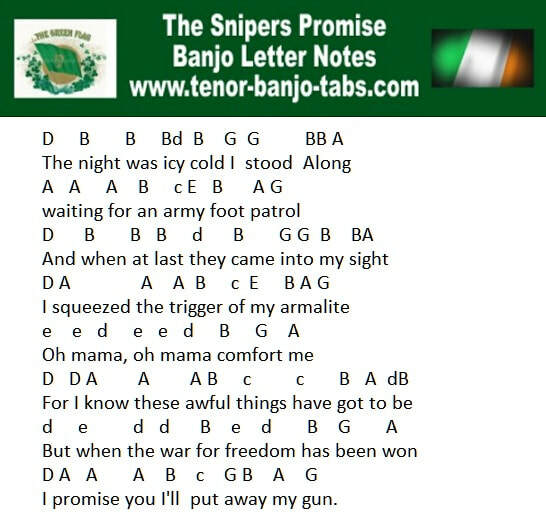 This Irish rebel song is from the recent troubles in Ireland. The banjo / mandolin tab is in G Major. It was covered by a rake of ballad groups including The Wolfe Tones, The Druids, Kathleen Largey. I even recorded it myself many years ago.